Over a month has passed since our last update, so we have lots to talk about for the September - October news with the CGC. First off, thanks so much to everyone who has been in touch and offered to help and support the CGC! We are getting ever closer to the point where we can begin to accept owners and mobilize volunteers for some very important and exciting projects. So... keep checking in on our website, and read on for how you can help this month! The coverage is up to 2 million per occurrence and 3 million aggregate, with the option to increase these amounts as the CGC grows. Under this policy, a CGC shareholder guide can be of any nationality, reside in any country, can guide clients from any country. The policy covers the use of snowmobiles while guiding or accessing terrain. The policy covers the guiding of minors to a minimum age of 8 years old (with parent/guardian consent). This is just a brief summary of changes and additions from the previous policy - we will be working to make the full policy accessible for review, and in the meantime, if you have specific questions about the policy please get in touch with Scott Schell. The NWCDC is also assisting the CGC to apply for federal funding to help cover startup costs, and to research and pursue other sources of funding. Click here for more information on the Northwest Cooperative Development Center. Scott has been working with James Vasquez, a Seattle-based attorney, to draft the bylaws for the CGC. 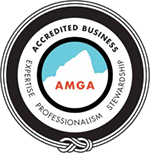 James is partnered in the Seattle firm In Pacta, a commercially minded general practice firm.The bylaws, which are specific to the cooperative business model, are in draft form and will be refined this fall with assistance from James and legal resources from the NWCDC. James is also serving as legal counsel as we create the CGC structure. The CGC has a new marketing intern, Dave Hughes.Dave's background is in marketing and communications, and he is the Site and Communication Manager for Full Circle Farm in Carnation, WA.Full Circle is one of the larger Community Supported Agricultures (CSA) farms in Washington, and Dave's work at FCF focuses on creating avenues of marketing sales through social media and solicitation. Dave is a NSP patroller at Alpental and gained his 'higher learning' as a backcountry ranger for Olympic NP. He's excited to be working with the Guide's Coop and is looking forward to getting back in the mix. Do you know a CPA? We are looking for accounting resources to assist with the CGC for both our start-up phase and for the future.If you know someone who has experience with Cooperatives (or would like to learn), and who is based in the Northwest, please get in touch with Scott and let us know! The CGC is actively seeking signed Letters of Intent from certified guides who are planning on becoming members of the CGC.If you are interested in joining the CGC please get in touch with us (or click on the below link), sign a form, and we'll add it to the pile. The Letter of Intent is often the first step in the shareholder campaign. It's a non-binding document that helps us gauge interest and gain momentum in the crucial first months of the co-op. Our Marketing Intern, Dave, has set up the CGC Facebook and Twitter accounts - check us.